Product prices and availability are accurate as of 2019-04-12 18:57:42 EDT and are subject to change. Any price and availability information displayed on http://www.amazon.com/ at the time of purchase will apply to the purchase of this product. These sleek black frames and blue lenses will lend a classic vibe to a trendy man. 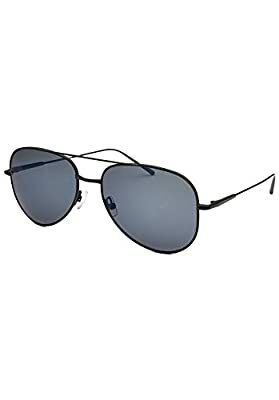 Perfect for all occasions, these Calvin Klein aviator style sunglasses combine form and function for an every day look.